The Multi-Flex Anti Fatigue Matting is a combination of a Performance Rated Polymeric top surface with a Multi-Flex sponge base provide the simplest and most effective way to reduce standing fatigue and stress. The Multi-Flex Mat is a smooth top anti-fatigue mat designed for comfort and easy maintenance. 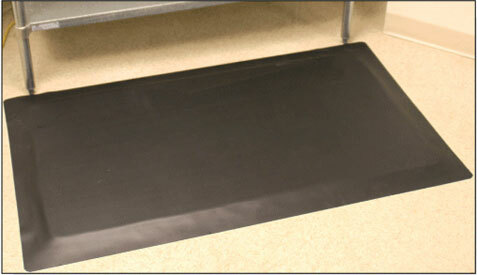 This mat is ideal for dry areas in pharmacies, health care facilities and laboratories. At a whopping 7/8″ thick, this mat supersedes most mats in the comfort department. Custom lengths are available…give us a call for pricing! 7/8" Thick. Available in Black Only Custom cuts available in 3' and 4' widths up to 75' long. 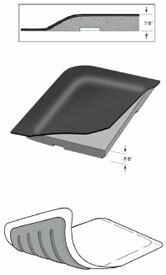 Please call 1-800-810-7847 or email service@commercialmatsandrubber.com for custom size pricing.